Since I hardly use my bike offroading, I've decided to surf the web for some carbon rigid fork. When I saw how cheap these forks are going for, I got too excited and bought one on ebay without double checking the measurement. 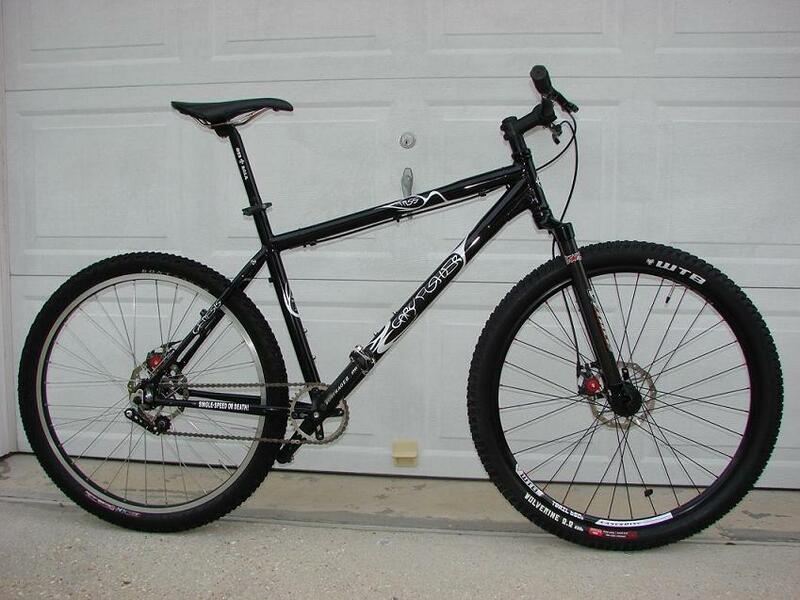 I have a 2007 Gary Fisher >click here<. When I checked the length from axle to bottom crown, mine is 19.5" while the once I bought on ebay is 15.8" (mosso). This is definitely a lot shorter than stock. Will my bike look weird once installed? Does anyone here have pictures of bikes that has the same change on them? I thought I've seen it before but I'm not sure. Please send me the link or post here. I'd like to see it. BUT.... a 3 inch difference in fork length would make the bike unridable. You'd have an unsteerable, pedal striking, ENDO machine. If I were you, I'd get that fork back up on EBAY and get yourself a 445mm rigid so you can get the most out of your ride. double check your dimensions. your stock fork was a 100mm suspension same as my old fork. unsprung it measures 17.5". the 445mm white bros. carbon i replaced it with measures 16". this is upgrade has been well worth it for my riding preference. here are some before and after pics.